Dr. Donald Schultz, an Associate Professor of Psychology, is an integral member of the faculty at The Chicago School of Professional Psychology. As a Core (Department) Faculty Member of the Applied Clinical Psychology Department, he teaches courses in existential-humanistic psychology, gerontology, life span development, family systems theories, cognitive-behavioral theories and various other areas within the clinical psychology realm. 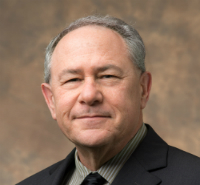 Dr. Schultz received his Bachelor of Arts in Psychology from the University of California, Berkeley, his Master of Arts in General-Experimental Psychology from California State University, Northridge, and his Doctor of Philosophy in Psychology from the California Graduate Institute. In addition to his teaching responsibilities, he does extensive committee work, serves as a chair or reader on dissertation committees, chairs the comprehensive examination and candidacy interview committees, is an oral comprehensive examiner, and has served as a clinical supervisor at the Chicago School's counseling center, among other activities, including having served as the Vice- Chair, then Chair, then Past Chair of the Southern California Faculty Council. In addition, he is an innovator of projects, programs and initiatives throughout the The Chicago School. Recent examples include his serving as a Faculty Mentor to other Chicago School professors, as well as serving as a "shadowing professor" for Chicago School students as part of the Preparing Future Psychology Faculty (PF2) program. As a California Licensed Clinical Psychologist, Dr. Schultz maintains a private practice in Los Angeles. Dr. Schultz's clinical focus is interpersonal and existential in nature, with an emphasis on the “here and now” while also emphasizing successful aging and the achievement of life meaning as ultimate life goals. He actively applies his clinical and philosophical viewpoints to his teaching and practice. In addition to California state licensure, Dr. Schultz holds a Certificate in Gerontology from the California Graduate Institute, a Certificate in Clinical Supervision from the Association for Advanced Training in the Behavioral Sciences, and is certified as an Alzheimer's Disease and Other Dementias Treatment Specialist (ADODTS) from the Association for Advanced Training in the Behavioral Sciences. I attempt to make learning as enjoyable for the students as possible. To this end, I employ various techniques, including lecture, discussion, Socratic questioning, protocol analysis, student presentations, and in-class activities including group formation and processing. Sometimes in the classroom setting, "less is more." One of my philosophical teaching goals is for students to say after a class session, "I didn't realize how easy this material was." That represents a successful class session for me. I think that patients come to psychotherapy with an underlying desire to find meaning in their lives. I see my task as that of removing the obstacles that have gotten in the way. Following the philosophical tenets of existential psychology, I help individuals deal with their "Existence Pain" (Yalom, 1989) through active empathic listening, and I also employ the Kohutian techniques of mirroring, empathy and twinship. An underlying part of my psychotherapeutic philosophy is that the individual desires to be directed toward the goal of successful aging, and I educate and direct patients toward methods of accomplishing that. I always felt that psychology was my special calling, along with a desire to understand the way the brain and emotions work together to create a specific individual's personality characteristics. You are entering an extremely fascinating field, one that will change you for the better as you learn more about yourself and others, and make positive contributions to society at large.